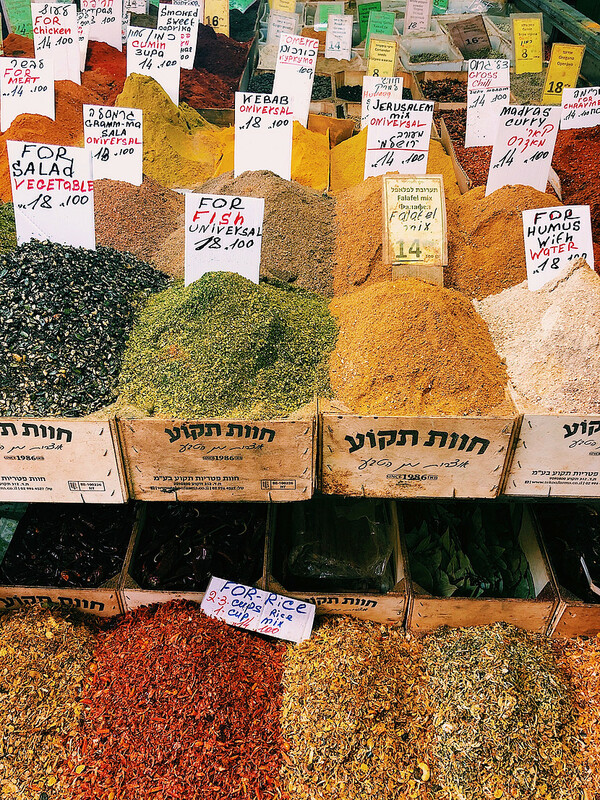 A trip to Israel, truly the trip of a lifetime. I stand by these words full heartedly. Although it has been nearly a week since I landed back in the States, my fervor and compassion has yet to dwindle. I decided to embark on my birthright endeavor because it was something that had always floated around in my head, but I never felt like I could carve out the appropriate amount of time between my education and starting my career. After a little pre-quarter life crisis, I decided I would apply for this trip, completely by myself, and hope for the best. 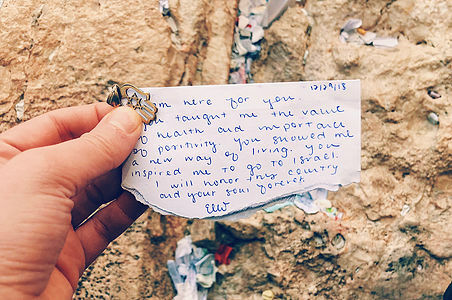 A little spontaneous, I thought, there is no other place I could feel more connected and at ease than Israel at this time in my life. It felt like an opportunity anyone would be foolish not to take. I also knew this was the cultural experience my grandfather always hoped I would take advantage of, and thus I felt incredibly warm knowing I could set out on this trip for him with his soul near me at all times. I love you, Grandpa, and I know the overwhelming emotions I felt on the trip were only magnified by your omnipresence. After a cute little 30-hour trip in the big city (special thanks to my cousin for opening her beautiful 6th floor apartment in Soho to me), I headed to JFK. Unbeknownst to me I was about to be surrounded by nearly forty new beautiful people with long lasting friendships. The eleven-hour flight flew by, and the realization that sleep deprivation would become an undertone for the trip was simply accepted. Next thing I knew, we were embracing our new Israeli friends as if this wasn’t just our first encounter with them. 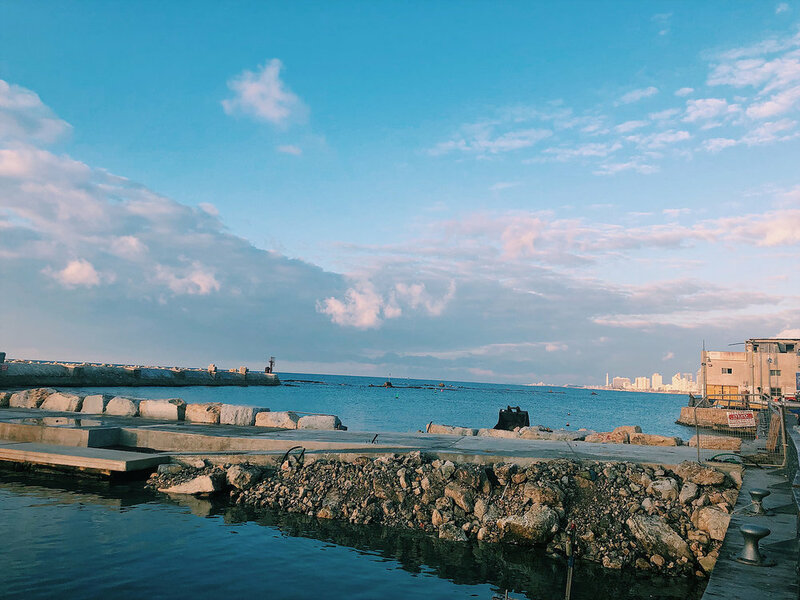 We hopped on the bus and immediately headed to the Old City of Jaffa: cobble stones, palm trees, and a breathtaking coast. That evening, I also had the immense pleasure of meeting my grandfather’s first cousin Diana. Just sitting with her in the lobby of our hostel brought vast warmth to my heart. I cannot thank her and her husband enough for finding the time to meet in Tel Aviv. 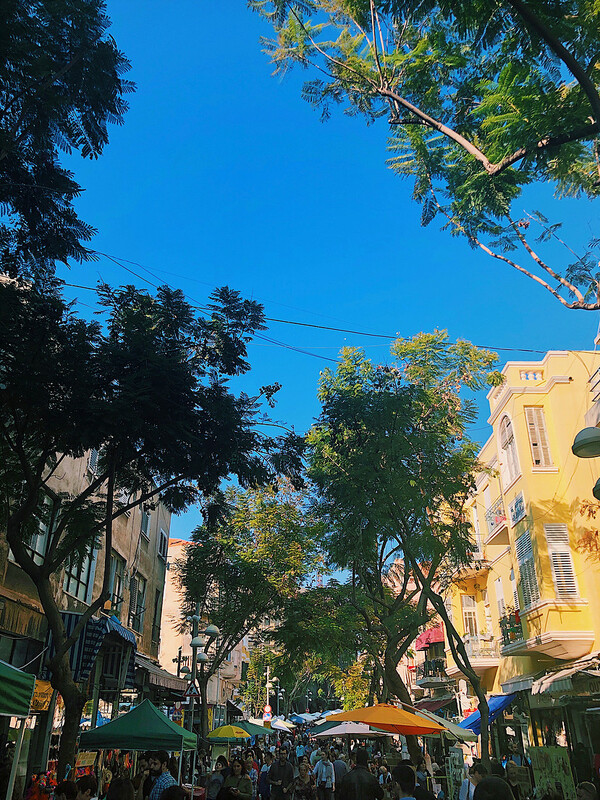 The next morning, we did a walking tour of Neve Tzedek and stopped by the innovation center, where we learned that Israel was among the most internationally influential tech capitals of the world, second only to Silicon Valley. Here we learned about their inventions, ranging from environmental and military, to transportation and cyber. We then had a fruitful conversation with Rooly Eliezerov, who sold his company Gigya to SAP a couple years ago, and spoke about the growing reality that consumers demand more transparency when it comes to data collection— a conversation I thoroughly appreciated that was very much up my alley. After that, we were released at Carmel Market— my favorite market on the trip. 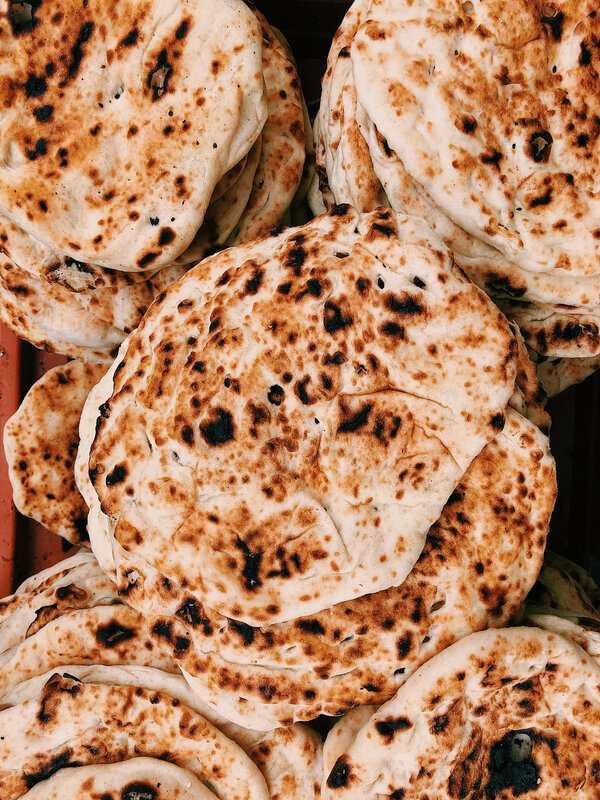 Tons of livelihood; crowded, narrow streets; homemade art; and the best goddamn falafel sandwich I could have ever imagined. 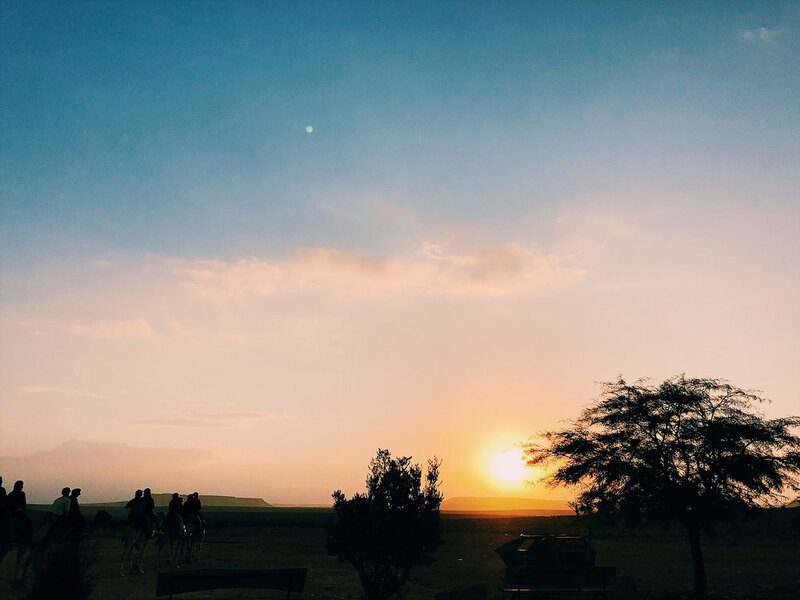 Wednesday, we were fortunate enough to have one of the Israelis take us to her family’s home in Sderot—the city on the parched strip of the Israeli/Palestinian border and the most heavily bombed in the world. Bar, one of the Israeli soldiers, told us that Sderot was built so that anyone could get to a bomb shelter within 15 seconds of hearing the warning siren. Even the playgrounds included infrastructure, masked to look like jungle gym equipment that doubled as a protective shelter. Kids are simply born into this culture, becoming almost immediately desensitized to this reality. This was on the first times on the trip I felt how resilient the Israeli people were. Subsequently, we headed to Ein Ovdat Canyon for a beautiful hike through the desert. Another theme of the trip—relentless awe of how picturesque every aspect of this country is. As the sun began to set, we headed to Ben Grunion’s grave (the primary national founder of the State of Israel and the first prime minister) and watched the sky turn a hundred vibrant colors on the mountain top. 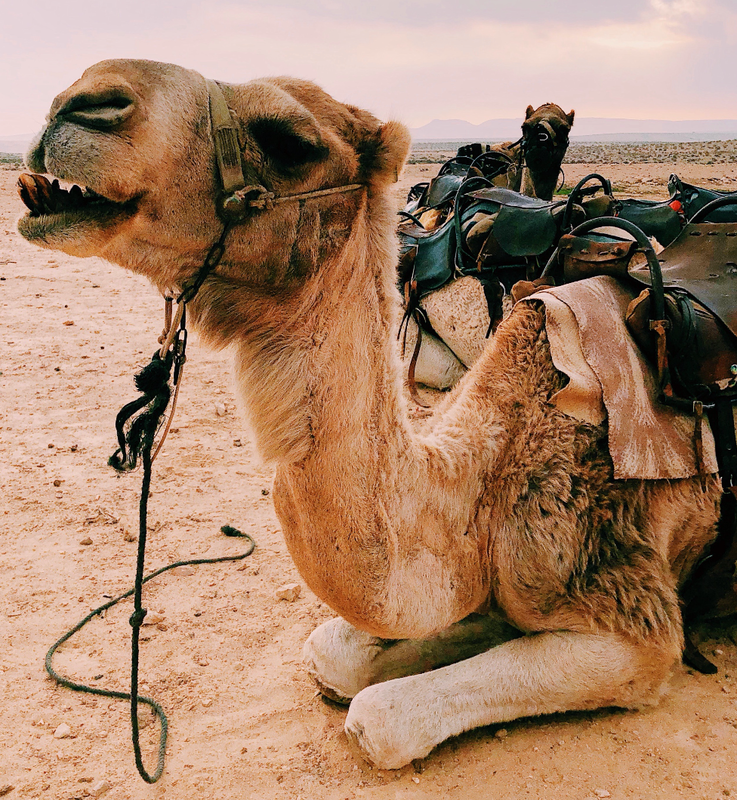 That night, we into Chan HaShayarot in Sede-boqer for our Bedouin camp experience where we got a taste of what it is like to live amongst the nomadic Arabs of the desert. Think huge tents, a thousand layers, eating with our hands, and just enjoying the stillness of a crisp desert evening underneath the stars. To catch the sunset the next morning, we hopped on a couple camels and went trotting through the desert. After that, we headed to Masada, where I experienced my second cultural epiphany. We did the hike up the Roman ramp and learned about the bitter strife between the Jews and the Romans. 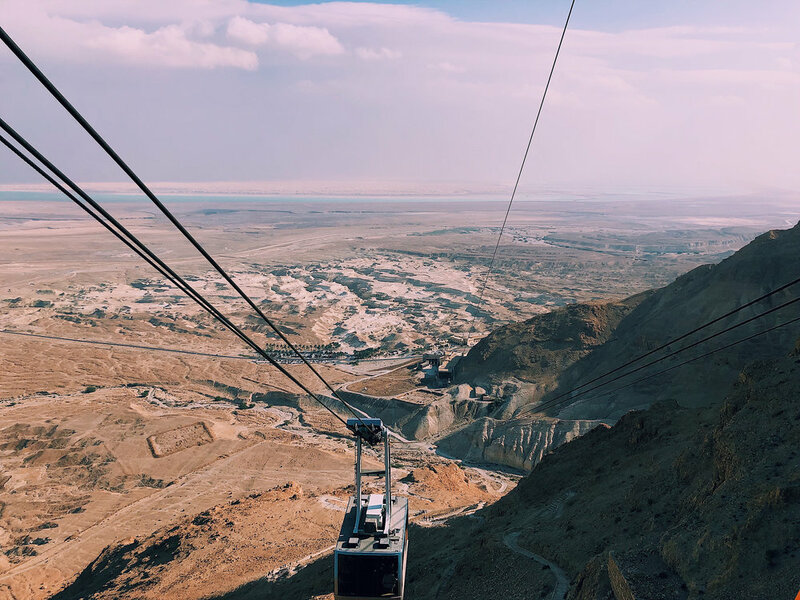 It was also where a handful of us had the pleasure of partaking in our first or second unofficial Bat Mitzvah, which could not be complete without a being lifted in a chair and getting pegged with Israeli candy, overlooking an immensely breathtaking canyon. 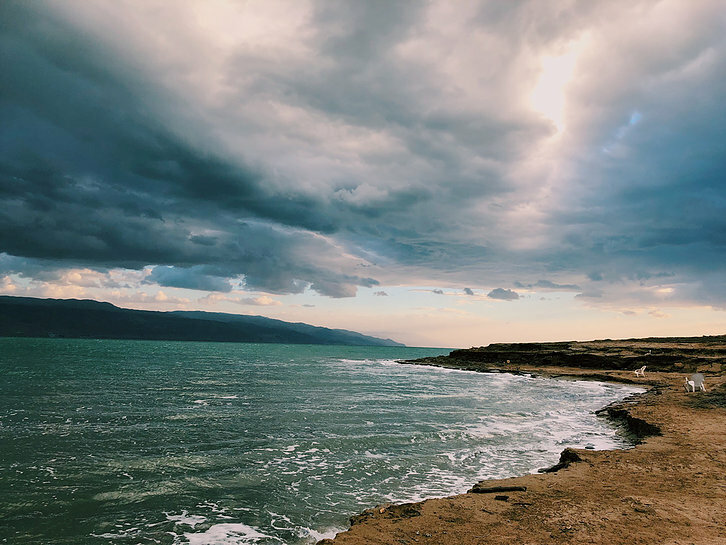 Our most active day on the trip was wrapped at the Dead Sea, which to my greatest surprise, was pleasantly warm and saltier than anyone could have ever imagined. Although I am disappointed to say the Dead Sea mud did not leave my face flawlessly acne-free, it was an amazing treat that I will never forget. That evening, we had the pleasure of attending a geopolitics course on the history of Middle East and Israel. Charlotte did an amazing job providing both an informative and applicable story that I was never able to fully receive in the previous studies. If you’re looking for more information on this, feel free to click here and/or subscribe to Daily Alert, an aggregate news platform created by a team of expert analysts who find the most important and timely articles from around the world on Israel, the Middle East and U.S. policy. The next morning, we headed to Mount Herzl, Israel’s national cemetery in Jerusalem. Both a chilling and welcoming atmosphere, we had the chance to reflect and honor those who had given their lives to protecting this nation. 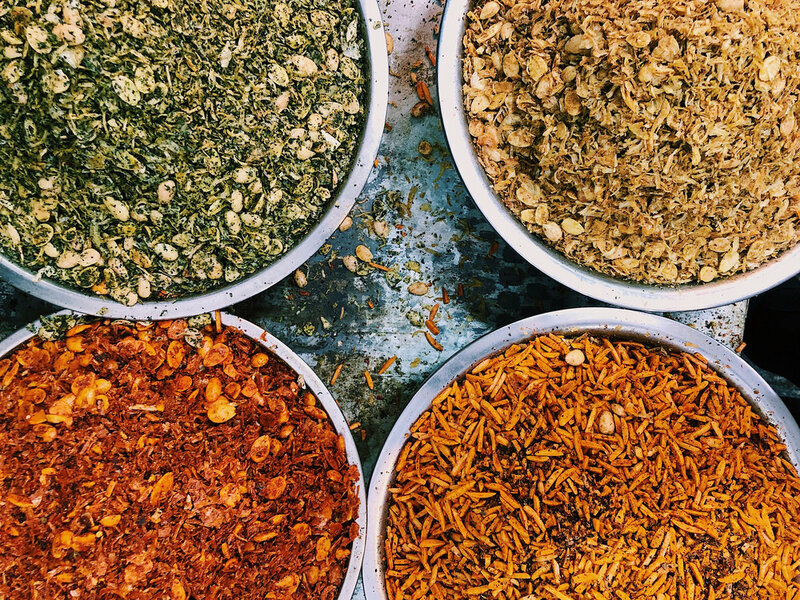 That afternoon, we went to another amazing market, Mahane Yehuda, where I encountered some of the best pasta I have ever had in my life (Pasta Basta), as well as stocked up za’atar to last me at least a year. That night, we all dressed up, headed to services (an orthodox synagogue, in which the men and women were divided, but the the energy on both sides was effervescent). I was grateful to spend the remainder of the evening with a couple of lovely people (which, I forgot to mention, included a fair amount of vegetarians—an obvious plus) from the trip at the rabbi’s home for Shabbat dinner. The energy only grew as the night went on, engaging in fruitful and reflective conversations, filling our bellies with the best home cooked meal. Saturday was a day of rest and reflection, spending most of it in the hotel until Shabbat ended, speaking about our experiences and Jewish identities. Sunday we went to Yad Vashem, the Holocaust Museum, where we had a guided tour, full of personalized stories. The architecture alone was enough to steal my heart. Designed by world-renowned architect Moshe Safdie, the Holocaust Museum is a prism-like triangular structure that penetrates the mountain from one side to the other. The official website perfectly encapsulates this fully immersive experience: The warped surface formed by this variation, amplified by a gently sloping floor, creates a changing sequence of spaces and gives the illusion of descending deep into the mountain. 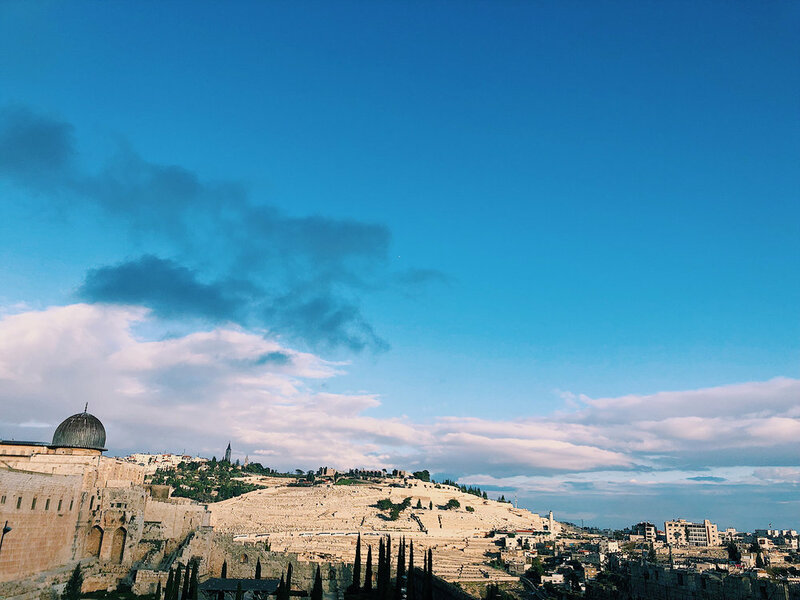 As the route nears its northern exit, the floor begins to ascend and the triangle opens up again, with the exit bursting forth from the mountain’s slope to a dramatic view of modern-day Jerusalem. I was particularly moved by the Children’s Memorial. Similar to the infinity mirrors that have dominated every installation exhibit across the world, this memorial was completely dark, with only a handful of hanging lights, exponentially multiplied by the mirrored design, and a constant string of names read over the speaker. I could have spent a whole hour in there alone. The rest of the day we were in the Old City of Jerusalem: beautifully crafted, awe-worthy views in every direction. We danced and sang our way through the entrance—another moment of pure euphoria. The Western Wall was nothing less than magnificent. To see so many people together, our bodies against the bricks as if we were one entity. I wrote my grandfather a letter and wedged it into the wall. I don’t think I could have felt any closer to him than in that moment. That evening, we all came together to share our experiences, reminisce, and attempt to mentally prepare ourselves for the somber reality that we were flying out the next morning at an ungodly hour. Even though we carried our very heavy hearts back to the airport, I felt consoled and warm. This experience was a lifetime of memories crunched into seven days. This experience was newfound friendship, a support network, and a new way of living. Although we were only there for a week, I have never had so much love and care for people so fast. Fortunately, with a New York meeting point, some of my favorite people remain close to me—both physically and mentally. I am also excited to say that I have brought home a newfound appreciation for WhatsApp (love you, Gal). I am so thankful for my decision to embark on this journey and feel eternally indebted to the Jewish state. I cannot wait until I have the chance to return to this beautifully colorful place, to feel the same level of ease and comfort again, as if it was my first home. This trip was one that was both affective and intangible— a feeling of acceptance, love, and familiarity from a strong group of beautiful people. Regardless of the hardships, the Israelis emit such resilience— something we all can admire.